So, what we have below is an updated list of every MLS player's salary. There are some things worth talking about. The first thing I usually do when I see lists like that is scroll for the lowest salary, and see how many people are making it. MLS's league minimum is low, at just $36,500 a year. Major League Baseball, this is not. Still, save for the suckiest, there's money to be made in the league, and many of these players' salaries reach into the six digits. The highest-paid players, of course, are the names that we know: past studs from abroad and USMNT members. Michael Bradley, the national team's best player, came across to Toronto FC from Italian side Roma in January, and is making $6.5 million this season. That's bank, but just a bit more than his current teammate, Englishman Jermain Defoe, and a little bit less than Clint Dempsey. 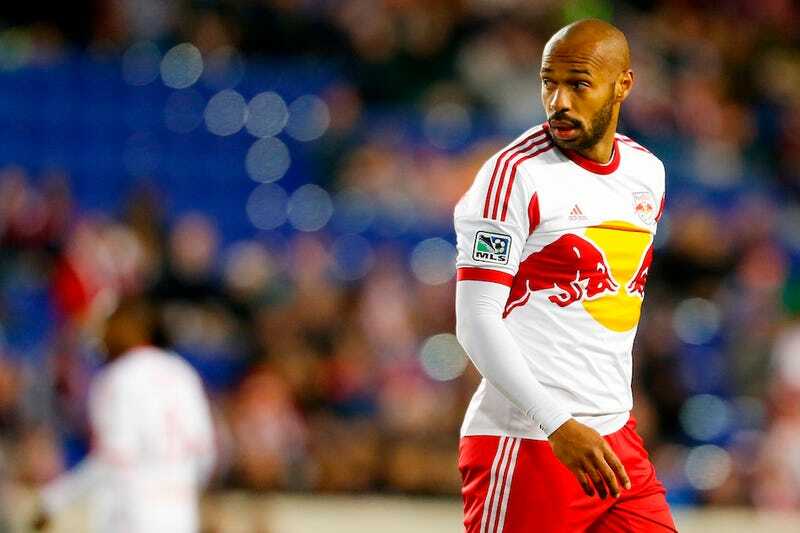 Legendary striker Thierry Henry is set to haul in $4.35 million this season, and American Jermaine Jones just signed with New England Revolution for $3.25 million a year. That ain't bad. This list doesn't seem complete or completely accurate as ESPN's Taylor Twellman points out. But still, one number sticks out: $7,167,500. That's how much 32-year-old Brazilian Kaká is making after signing to Orlando City from Milan in June. Kaká, though, was immediately sent out on loan to São Paulo, because Orlando City won't even play in MLS until next year, and only have five players listed at all. Also, there's no Frank Lampard, who'll be playing for NYCFC next year, but is currently doing his thing at Manchester City. Kaká's salary is a league record, and he's had a career almost as celebrated as Henry and David Beckham, the two biggest names the league has been able to draw to date. All in all, not a bad early retirement.